This adorable Easter party flyer will get your party hopping along in no time at all! 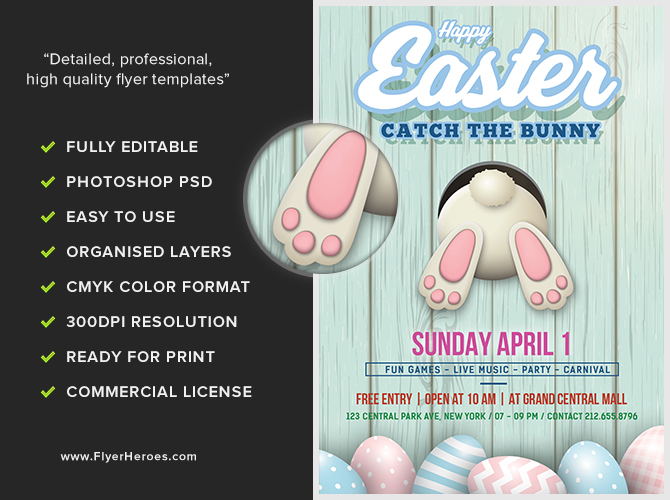 Why waste time fussing with design elements when you can create an enticing promotional flyer in a snap with this easily editable Easter Party template? Once your flyer is done, the fun starts! 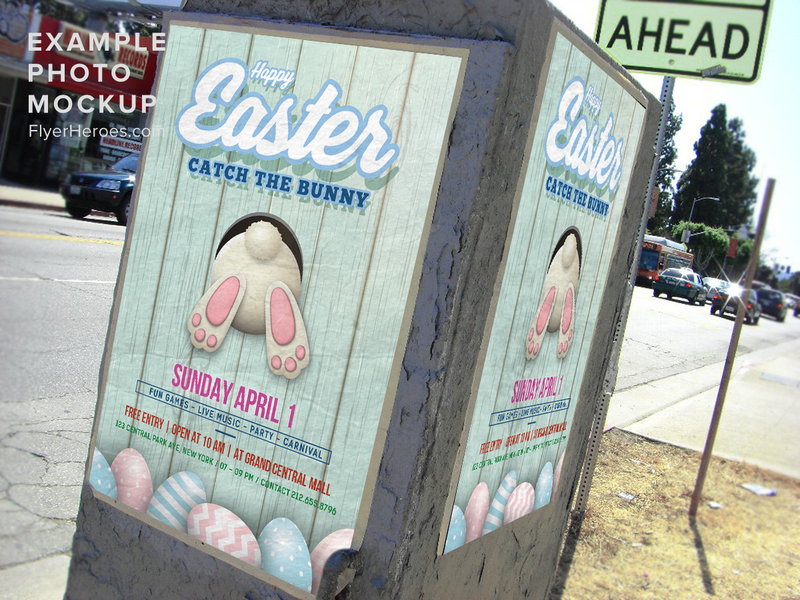 Dress up staff members as white rabbits and have them distribute the flyer far and wide: schools, parks, supermarkets, shopping centers, doctor’s offices, garden centers, and more! Where do those busy Easter shoppers shop? Be there with a stack of flyers and buckets of white chocolate bunnies to hand out. What about social media? 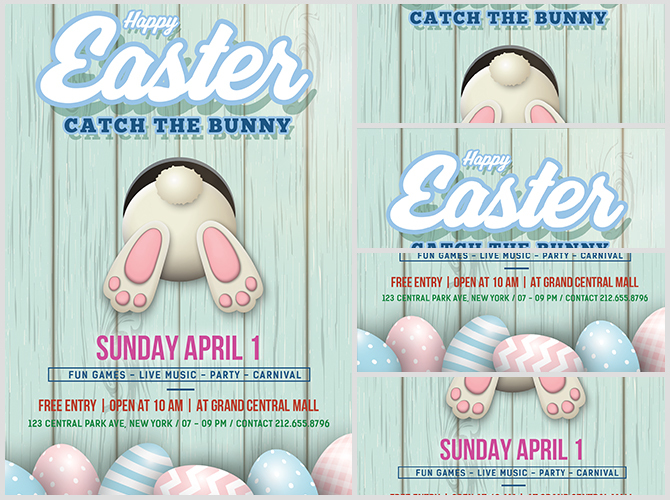 You can use the flyer to create a special Easter Party ad and you can insert it in e-newsletters or mail out print copies of the flyer in the form of postcards. Parked cars made great advertising venues for this flyer–simply slip it under the windshield wipers and hop along! 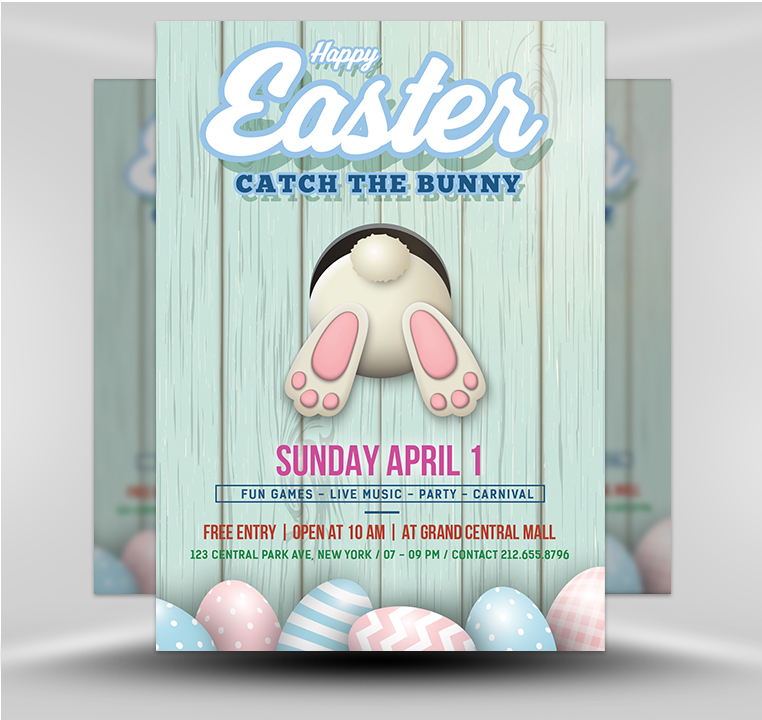 Wherever your target market eats, shops, works, or plays is a great place to distribute or post this professional-looking Easter party flyer.